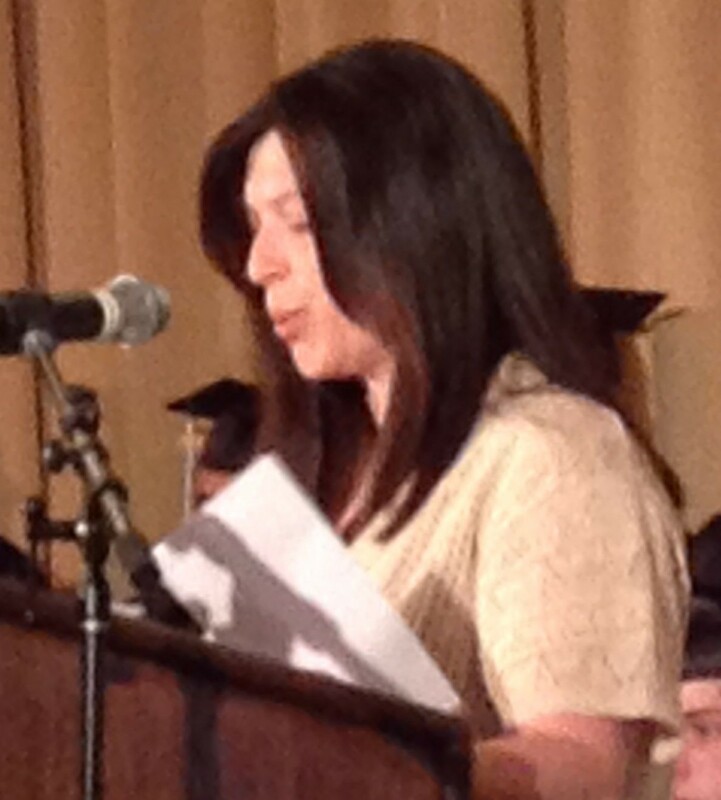 This is the second in a series of posts on the inspiring speeches students and a parent gave at the North Country Charter Academy graduation Sunday. My name is Sherri Kilgour and my daughter Tiana is graduating here today. We moved to the North Country when Tiana was only a freshman in school. She only had 2.75 credits. Tiana liked school but struggled through it whether it was with other classmates, dealing with the drama or getting behind academically and we knew the move to a new area would present. Luckily for us, we heard about the charter through community members and White Mountains Regional High School thought the charter would be a good option for my daughter. Thank you for referring her. It didn’t take long before an intake interview was set up and we met with Mr. K, Mrs. Ryder and Mr. Kelly. They went over with us the classroom rules and expectations and I have to admit; I was cringing a bit and· wondered whether or not this strict place would meet my daughter’s needs and whether or not my daughter could fulfill the high standards. She had struggled so much before but I knew this was our only chance to get her through high school. The option of morning or afternoon classes was a great benefit to my daughter in meeting her needs. In addition, she seldom got frustrated because the teachers were always available to give her one on one attention. I also knew this time she would not fail because of homework, all of her work was done in class. I knew in my heart, she could do this. My daughter is a smart girl. She just needed that extra help. Before the Charter School she would get so overwhelmed that she would just give up. She felt so far behind that there was no way she could ever catch up. She began skipping school and giving up on education. This was so hard on all of us and was very hard as a mom to see my child struggle and giving up on her dreams. Immediately after starting with the Charter School, I began seeing a difference in her. She had confidence and would talk about “when she graduates” these were words I hadn’t heard before so you can only imagine how proud I was. The teachers were always right there to help her and in a nice way they would remind her that she could do the work. They had a very strict attendance policy and she was held accountable for days missed so she knew being there was a must. She was also accountable for making daily academic progress in which at times she got overwhelmed but that was ok because she never gave up. I can’t thank the teachers enough. They all played a big role in helping her get here today. Mr K, I mostly remember the call I got from you when she had to make her presentation. You very kindly told me you knew she could do it but she was angry with you for making her. Her anxiety was getting the best of her … when I said I would talk with her about it. Your reply was” I’d wait until tomorrow she’s pretty upset right now .. ” you really knew her well and were spot on on that. In the end she did her presentation as you knew she could. I am so very proud of her and she should be very proud of herself. So with all of that being said , I’d really like to say thank you to all involved in making the Charter School possible, but for all of you I’m not sure where my daughter would be today. Now she can pursue her dreams of becoming a Cosmetologist. She is currently working part time in a salon as a receptionist. These are great kids here and because of the Charter School all these young adults are sitting up her today as high school graduates rather than high school dropouts …..
Way to go class of 2014 you should all be so very proud of yourselves.